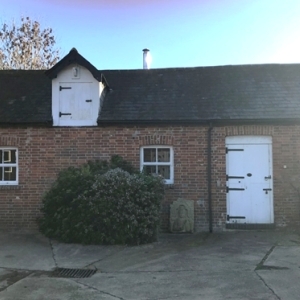 New Forest National Park: Pure Town Planning are delighted to have recently secured a Certificate of Lawfulness to establish the existing use of an outbuilding as a B1(a) Office on a site outside of Sway in the New Forest National Park. The client approached Pure Town Planning wishing to maximise the potential of their site which was a former farm with various outbuildings in different uses. Earlier this year we secured planning permission for the change of use of two workshop units into residential use (B1(c) to C3) on the site so they may be used as holiday lets. This current application affected a building adjoining the two former workshop units, to demonstrate that the use of the B1 office is in fact lawful. We were required to submit a supporting statement to the New Forest National Park Authority setting out the evidence to demonstrate that the building has been used solely as an office for at least 10 years. Working closely with the applicant, we uncovered the relevant evidence to prove that the office has been continuously in use by a business which has been operating as a separate entity to the main dwellinghouse since back in 2006. Following a comprehensive application, we demonstrated beyond reasonable doubt that through a continuous period of at least 10 years the use of the building was a B1(a) Office and a Certificate of Lawfulness was subsequently issued. Therefore, if you have any sites big or small and our looking for a company with a proven record of success why not get in contact with Pure Town Planning at info@puretownplanning.co.uk or 01202 585524 for a confidential FREE 30 minute consultation to see what we can do to assist you.